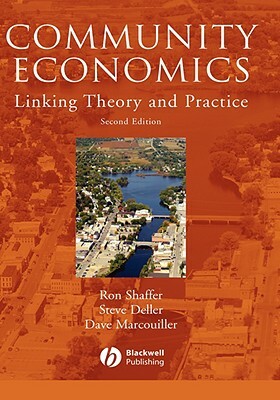 By: Schaffer, Ron; Deller, Steven C.; Marcouiller, David W.
This Complete revision of Dr. Shaffer's classic "Community Economics" provides readers with a comprehensive understanding of economic structure in small communities and urban neighborhoods of America. Authors Shaffer, Deller, and Marcouiller review the economics of smaller communities with continued emphasis on how to build and achieve theoretically sound community economic development policy. The text also demonstrates how local participation and knowledge can be used to identify problems, form solutions, and maintain community support for long-term goals. The main body of economic research and literature has neglected the economics of smaller communities. "Community Economics: Linking Theory and Practice" fills that information void. This text serves as a comprehensive guide on smaller, open economies and urban neighborhoods for economists, regional planners, rural sociologists, and geographers. Additionally, "Community Economics" is an issue-oriented handbook of development strategies for development practitioners, planning and zoning officials, and others involved in the ay-to-day activities of community economic development. Author Name: Schaffer, Ron; Deller, Steven C.; Marcouiller, David W.